Recommended for the transfer of petroleum products with an aromatic content of up to 55%. Novalite has a unique design utilizing a flat corrugation design permitting extreme ease when flexing. Novalite is excellent for the transfer of other oily products, such as fats, greases, vegetable oil, hydraulic fluid and a wide range of chemicals. 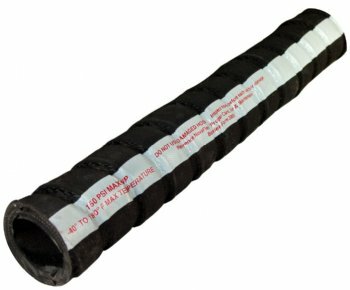 This hose takes a very little force to flex the hose as compared to other constructions.